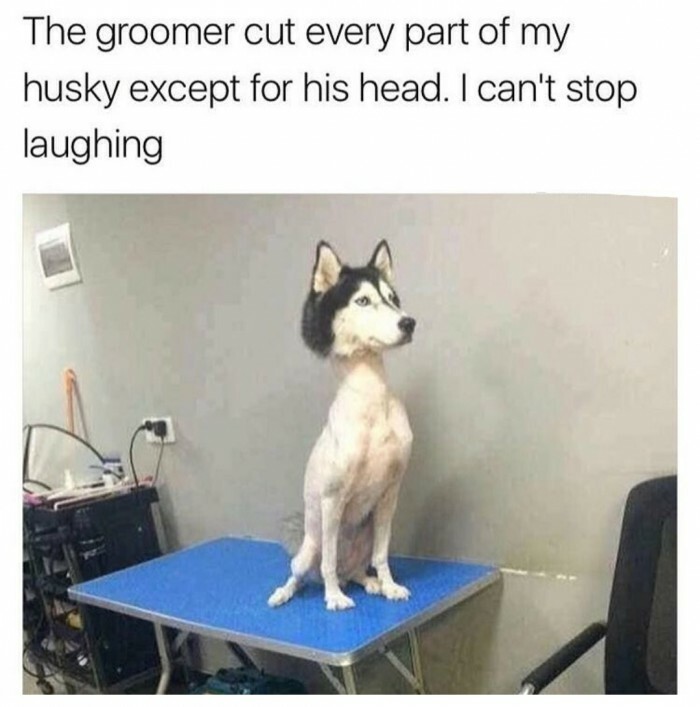 The groomer cut every part of my husky except for his head.. The groomer cut every part of my husky except for his head. I can't stop laughing.